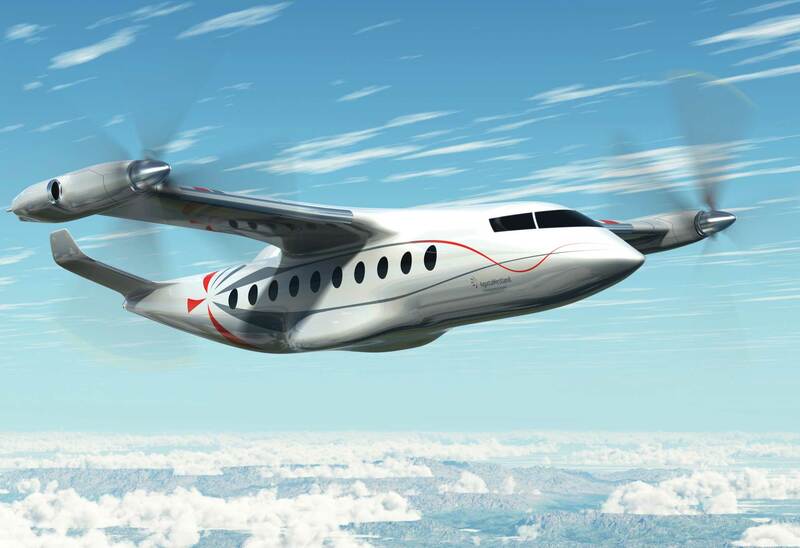 AgustaWestland could fly a larger “next-generation civil tiltrotor” (NGCTR) by 2020. Propelled by internal company studies and research that began in 2000, the larger tiltrotor project is now being pushed to the next level with $328 million in new funding from the Industry/European Union’s CleanSky2 initiative. While AgustaWestland is quick to point out that nearly 60 percent of this funding will go to program partners, the residual will provide a substantial catalyst. The Italian manufacturer is clearly aiming at an aircraft that will serve the deepwater offshore energy market. While the program is still in the design study phase, preliminary plans call for a pressurized aircraft with an mtow in the 11-ton range with seating for 19 to 22 passengers, a ceiling of 25,000 feet, a range of 500 nm and top speed of 330 knots. Renderings made public by the company show an aircraft with a fuselage that resembles that of a commuter jet mated to wings and a horizontal stabilizer with swooplets. The design differs from both the smaller AW609–scheduled for certification in 2017–the Bell/Boeing V-22 currently used by the U.S. military, and Bell’s proposed V-280 for the U.S. Army’s Joint Multi-Role Technology Demonstrator (JMR-TD) aircraft. The wingtips on the NGCTR actually rotate with the engine and prop-rotor assemblies. AgustaWestland claims this design provides a variety of benefits in all flight phases: minimizing the rotor download by tilting the wing up to 90 degrees in hover; tilting of the wing at low speeds to avoid the “barn door” effect; and adapting the wing for the best angle of attack during the conversion phase (from vertical lift to horizontal flight). CleanSky2 targets also call for the design to reduce emissions by 17 percent and noise by 20 percent. AgustaWestland and its development partners are conducting studies aimed at exploring and evaluating new prop-rotor designs, new wing geometries, optimized engine configurations, lean manufacturing, low carbon footprint and other applicable “cutting edge” technologies. This phase of the program will continue into next year, followed by subsystem development and testing through 2019 and then flight validation from 2020 to 2023. This will add to the body of research already conducted by AgustaWestland during the Erica project (2000-2005)–which evaluated critical technologies required for the aircraft such as drive systems and tilting mechanisms, advanced rotor design, dynamics and noise, interactional aerodynamics and control mechanisms for the tiltrotor system–and the Nicetrip project (2006-2013), which conducted 1:5-scale powered model wind-tunnel tests, forced model wind tunnel tests, and drive system function tests.